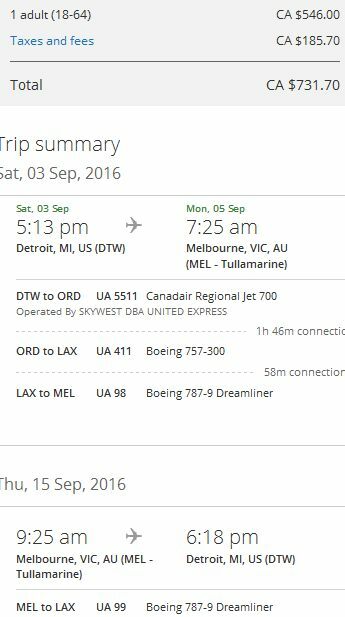 There are some highly unusual flight prices appearing out of Detroit involving flights to various places in Australia for around $732 CAD roundtrip including taxes. Detroit is a 4 hour drive from Toronto. A flight deal out of Detroit needs to be really incredible to be worth the drive from Toronto, and I feel this one qualifies. When you get to Kayak, try a flexible date search (3 days on either side), and search any of the months listed above. If you try the same search on Momondo.ca - you'll find that there are some third party booking sites that may be able to book these flights for as low as $675 CAD roundtrip including taxes. 2. Click through from Kayak to the United Airlines website. 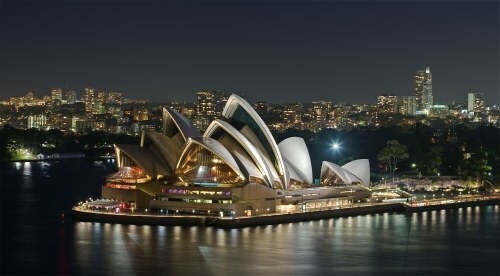 flight deals, detroit, dtw, united airlines, melbourne, sydney, australia, mel, syd, australasia and oceania. 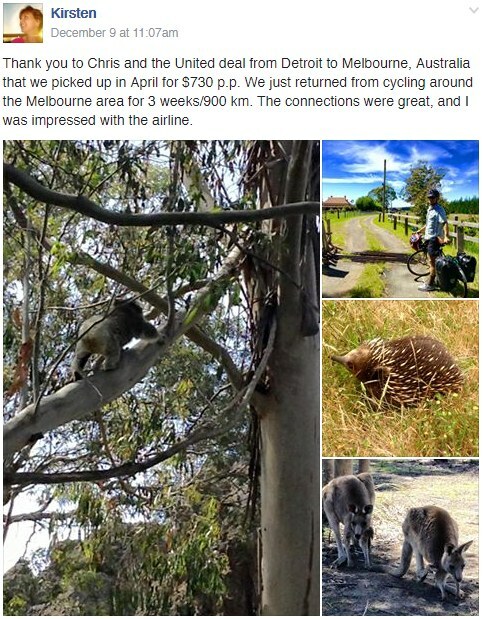 6 Responses to "Detroit to Melbourne or Sydney, Australia - $732 CAD roundtrip including taxes"
Even cheaper than that in August. I am seeing 654 to SYD. Our Ontario base is London, so DTW is the same distance as YYZ to us. Worth the drive! I wasn't able to find anything under $900 in July August... maybe it was just yesterday? Nice one! Have a great trip Greg! Chris, thanks so much for taking the time to send these deals out to us. This is yet another deal I've booked based on your emails, and it's greatly appreciated. A friend and I booked for Nov 23-Dec 11, going to be celebrating both of our birthdays half way across the world. I'll be sure to post some pics on the Facebook page! Excellent! Yes, please do post some pics when you get back. Enjoy your birthdays over there!